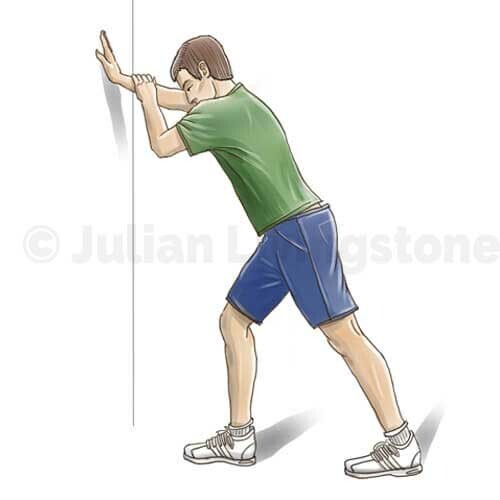 Keeping not feet parallel lean toward all keeping the weight on the back foot heel. Keep the back leg straight and if anything turned in slightly. You should feel the pull in your calf muscle.